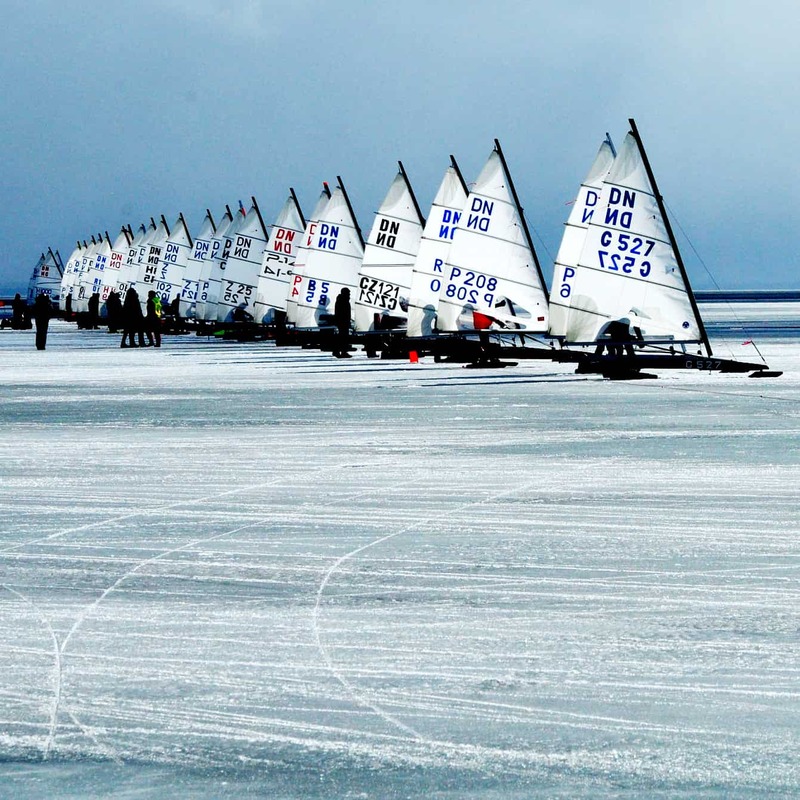 Estonia celebrates their 100 year old tradition of ice sailing and is the host country for the 2018 DN World and European Championships. I’ve been to Estonia twice for regattas and was looking forward to seeing their beautiful country again. However, the regatta has been moved to Poland because of weather and ice condition concerns. Like Estonia, Poland is another country that takes ice sailing competition very seriously, they’ve even issued postage stamps that commemorated their ice sailing champions. This will be the 5th time the world championship has been held there. Poland is the home of arguably the greatest DN racer in the world, Karol Jablonski P36 who has placed the Gold Cup on his mantle for a record 11 (corrected from 10-thanks Martin) times. In the DN International Ranking System, there are 20 Europeans ranked in the top 10 and 8 of those are Poles. These top ranked Poles along with a slew of others from Europe and North America are gathering in Gyzecko, Poland hoping to take home the cup and deny Karol his 11th World Champion. The first day of racing begins on Sunday, February 25. I am writing this on the table in Joerg Bohn’s Sprinter camper (not so easy because the table is shaking as Joerg puts his foot into the gas pedal), heading east from Germany to Poland. We are joined by our friend Natali Burdukovskaya who handles scoring and tabulating duties for the Baikal regattas. Vice Commodore Warren Nethercote, Ron Sherry, and James “T” Theiler are somewhere ahead of us hauling a trailer full of boats. We will soon pass them at the pace we are going. Tonight, we will be in Poland. More: In the Polish media.